Mr. Josh Tyree is currently serving in his second year as director of bands at West Forsyth High School. Previously, he had been the director of bands at Liberty Middle School since the fall of 2009. His last important achievement there was seeing the completion of the band room construction which doubled the size of their space in the spring of 2017. Also due to the growth of the Liberty program, he added an assistant in the fall of 2015. In the spring of 2015 the LMS band won the Southern Star Music Festival at Six Flags Over Georgia (which they also won in 2012). Mr. Tyree was a quarterfinalist for the Grammy’s Music Educator Award for 2014. Of the 7,000 applicants, he was one of just 222 remaining. In 2013, Mr. Tyree was the Teacher of the Year at LMS. During the summer of 2012 Mr. Tyree attended a summer conducting workshop at the Julliard School of Music in NYC studying with Eugene Corporon. In 2011, the band program won a $25,000 grant from the Glee-Give-A-Note Grant Competition enabling them to buy many new instruments. Before becoming head director at Liberty Middle School he was the associate band director at South Forsyth High School teaching various levels of band courses and music theory including AP Music Theory. He worked extensively with the SFHS concert program, marching band, jazz band, pep band, woodwind choir, and chamber wind ensembles. Prior to that assignment he was the head band director at Monroe Area High School in Monroe, GA teaching band classes, marching band, jazz band, orchestra, and chorus. Graduating from the University of Georgia in 2003 with a Bachelor of Music Education, he soon went back for more education earning his Master of Music Education in 2006 from UGA. He also studied piano privately for 5 years after his Master’s program. He has been teaching for 14 years. Josh is currently a member of the Georgia Music Educators Association, National Association for Music Educators, National Band Association, and World Association for Symphonic Bands and Ensembles. 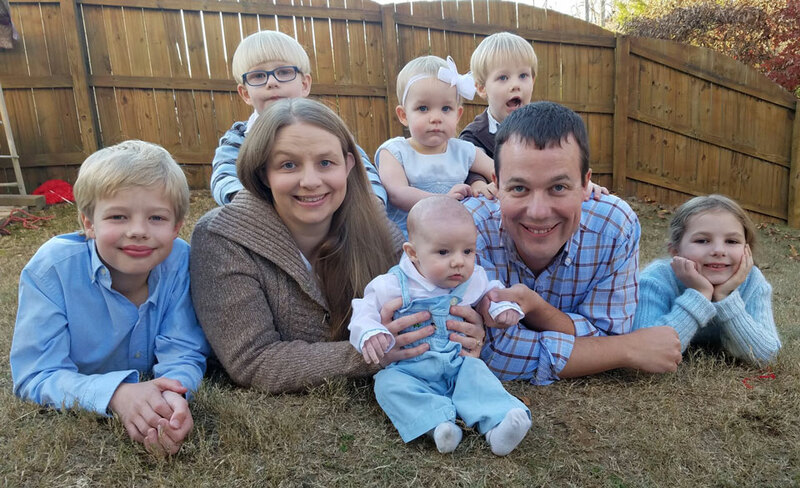 Mr. Tyree lives in Dawsonville, GA with his wife, Mandy, and his six (going on 7) children. The Tyrees have a new daughter coming in mid May 2018. They are members of Grace Community Church in Dawsonville, GA.